This series explores language, architecture, and the compelling assortment of cultures that create the unique character of Penang. The images are made with local materials like Chinese joss papers, Indian stickers and mehndi stencils, and Malaysian kerchiefs. Imaginary – because some places exist most completely in the mind. There, the past, present and future can coexist without constraints or contradiction. The artwork is the color of sea and sky, and hints at possibilities: where horizon is softened by haze, you will find an illusion of infinity. Islands near the equator are amorphous. Sunlight and atmosphere and fatigue blur the shapes of flora, sand and coastlines. These Cyanotype landscapes are a hybrid of what is, what was, and what could be. The island's buildings are crowned by corrugated-shaped rooftops of tile, asbestos, and tin. In George Town, the varied low-rises go together harmoniously, as the Komtar rises above them all. Blocks of shophouses stand like sentinels on the streets at dusk. All are designed for hot, humid days and nighttime breezes. Temples' flourishes echo sacred architecture created many miles away: Hindu, Muslim, Bengali, and Christian forms, brought from ancient traditions and transplanted. Not hybrids, but a jumble of individual styles. Their shapes were carved into the papers used in ceremonies, then used as negatives for Cyanotype photochemical paintings. Text becomes texture. All languages have their own rhythm. In Penang one hears staccato Bhasa Melayu, Tamil, and Hindi, and rolling Chinese dialects with a southern drawl: Cantonese, Hokkien, Fukien, and now more sharp Mandarin in the streets. 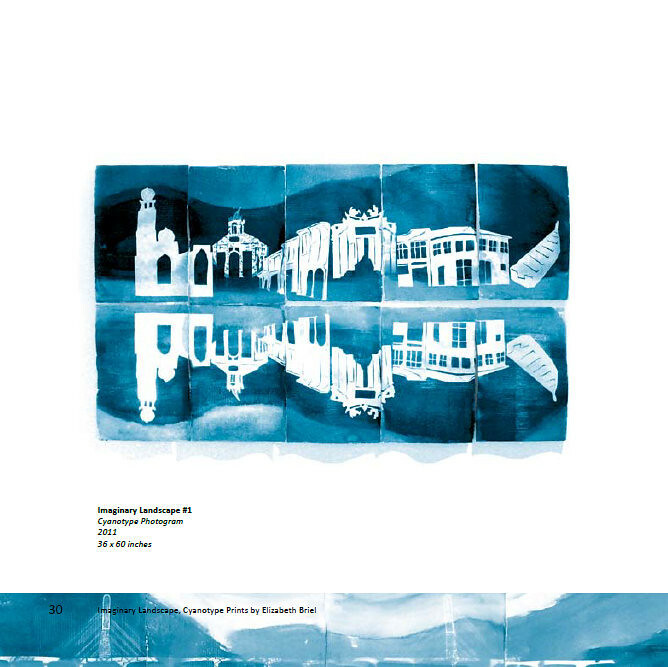 The text in these images are words written by the artist: impressions of Penang over a single past year, from personal and public writing. It was written in English, then translated into Tamil, Traditional Chinese and Bhasa Melayu via Google Translate. Language divides and unifies us, gives ways to identify and misunderstand one another. A language shows you where you belong – and where you don't. 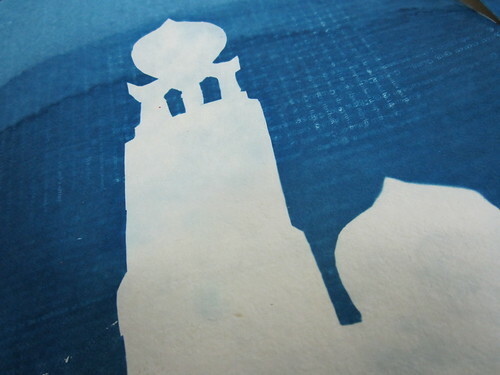 The Cyanotypes are printed on many pieces of paper to form a large composite image. Materials in the designs are an assortment of what people in Penang use every day for life, for work, for ceremonies. Penang is a manifestation of the complexities and contradictions of people trying to live and understand, together. This series is a tribute to a unique island which manages to preserve its history while hurtling successfully towards modern life. 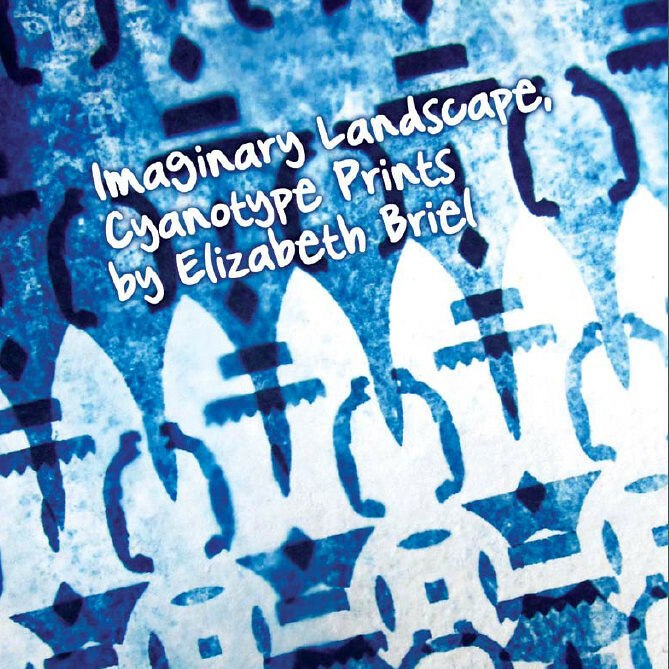 Imaginary Landscapes of Betel-Nut Island from Elizabeth Briel on Vimeo. 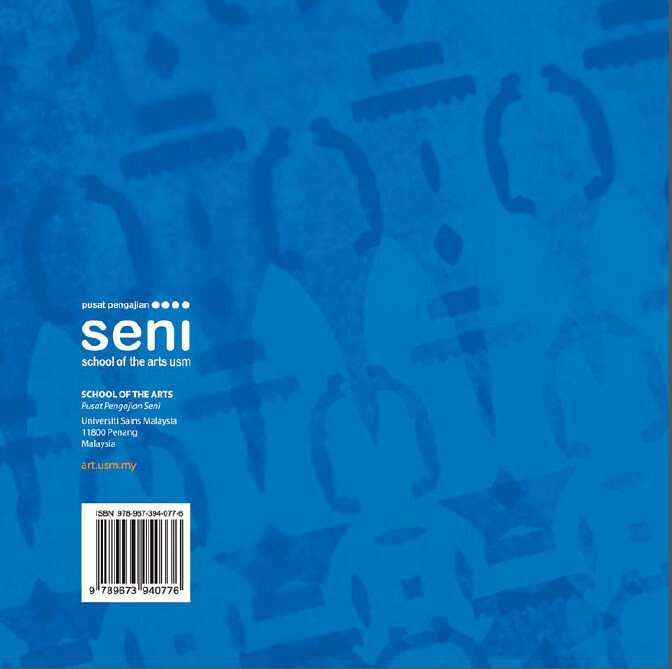 Catalog published by Universiti Sains Malaysia in 2012 of artwork produced during the residency.